Sage is an athletic trainer. 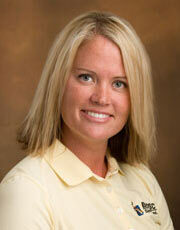 She joined Black Hills Orthopedic & Spine Center in 2001. Sage received her Bachelor of Science in athletic training and psychology from South Dakota State University in Brookings, South Dakota. Sage also holds certifications in secondary education and as a strength and conditioning specialist.